In yet another installment of the long and cherished rivalry of Manchester United and Manchester City, this one seems different because it is a rematch from last year’s FA Cup semis. This 4th round FA Cup match means that one of these top sides is sure to go home empty-handed as the loser is ousted from the tournament. Last year, Manchester City pulled off a shocker at Wembley when they beat Manchester United and City looks confident to make it three in a row including the 6-1 thumping of United earlier this year. Not helping United’s cause, Man City has now gotten back on track after a shaky holiday season which included a 0-0 draw at West Brom and 1- 0 loss at Sunderland. With City’s plethora of skilled attacking players, United can only hope for a miracle with their poor defensive performances this festive period. After struggling against Newcastle, Rio Ferdinand must have a strong game if Manchester United wants to win. Like Manchester City did last year in surprising many with their victory, Man U hopes to do the same. Manchester United has been galvanized on the injury front the last month and their depth at midfield and defense has been tested. The pairing of Phil Jones and Rio Ferdinand in the last match did not work out well at all as Man Utd. were bombed 3-0 at Newcastle. 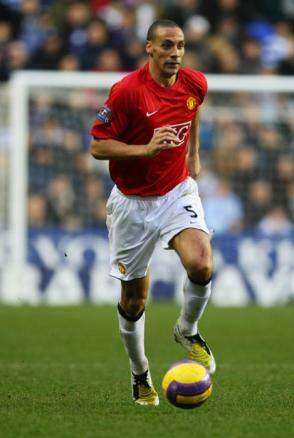 Ferdinand looked clumsier than ever and unable to make a fair tackle and Jones looked susceptible to the long ball and slow in one-on-one battles with Newcastle forwards Demba Ba and Shola Ameobi. There is not much cover on the bench; however, with the mistake-apt Jonny Evans, injury prone Rafael Da Silva, and Chris Smalling all waiting in the wings. Smalling is uncertain to return yet from his tonsillitis though. Moreover, the midfield pairing of Ryan Giggs and Michael Carrick, in the center of the park, seemed to have no flair in attack and Giggs looked like he had never played defense before, highlighted by his atrocious tackle on Newcastle’s Ba. All in all, the Red Devils look in for a long afternoon. In the end, the Blues come in off a fantastic performance at home to Liverpool and Man. Utd. did the polar opposite when they traveled north to Tyneside. One thing is for sure, if Manchester United is to have a chance, their defenders must play mistake-free football for 90 minutes against the freight train of the City attack. This entry was posted in Home, National, Soccer, Uncategorized and tagged FA Cup, Manchester City, Manchester United, soccer.